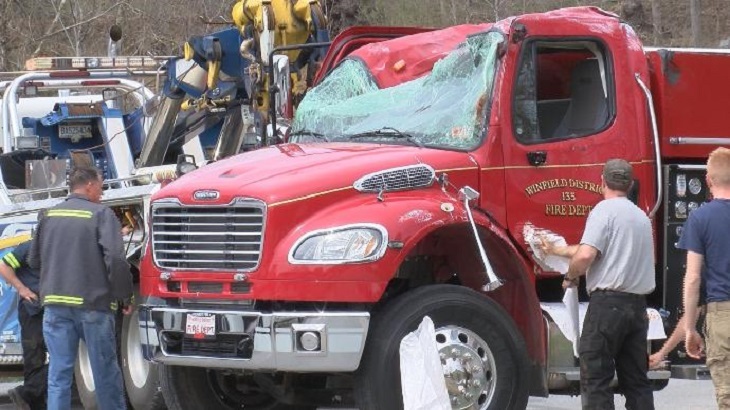 According to WDTV, two firefighters were taken to the hospital after their truck rolled over as they were responding to a vehicle fire Saturday morning. The Winfield Fire Department was called to the fire on I-79 North just past the weight station after 11:30 a.m. That's when 911 officials said their truck rolled over near the intersection of Pricketts Fort Road and Meadowdale Road. The two firefighters taken to Fairmont Regional Medical Center weren't seriously hurt, first responders said. Click HERE for the rest of the report and updates if, and when, they become available.